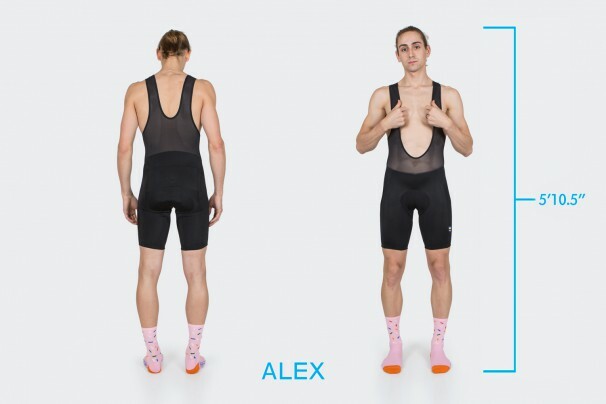 This is the long awaited men’s fit guide. It is also a work in progress so stay tuned for more sizes. 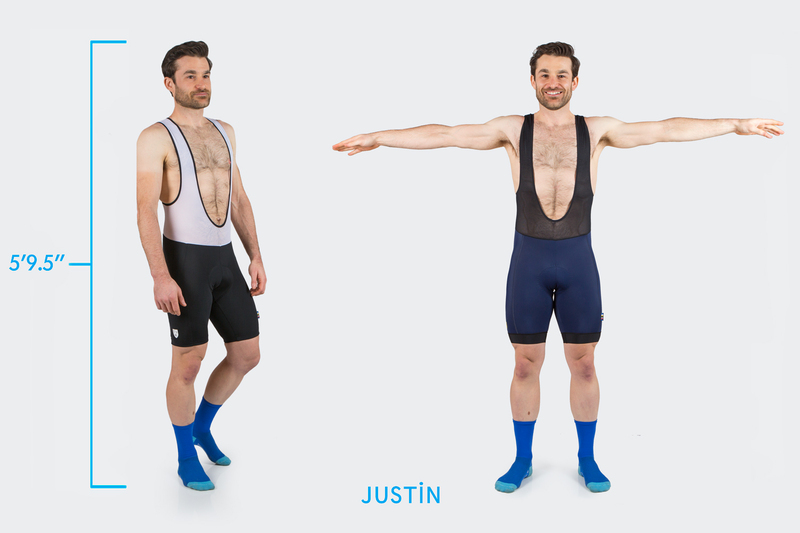 We have three fits: Regular Fit, Slim Fit and Race Fit. Regular fit is a looser cut across the chest and waist. 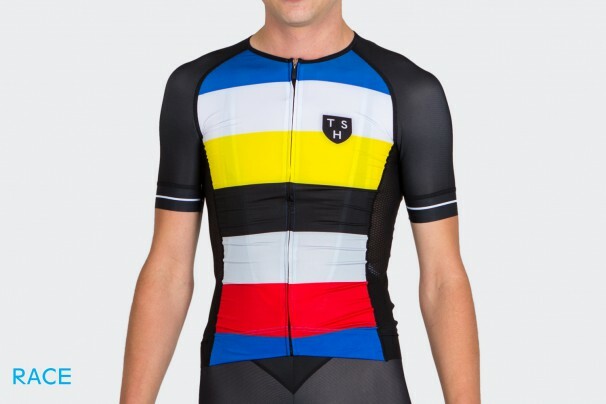 If you find that most jerseys are too restrictive this is the cut for you. 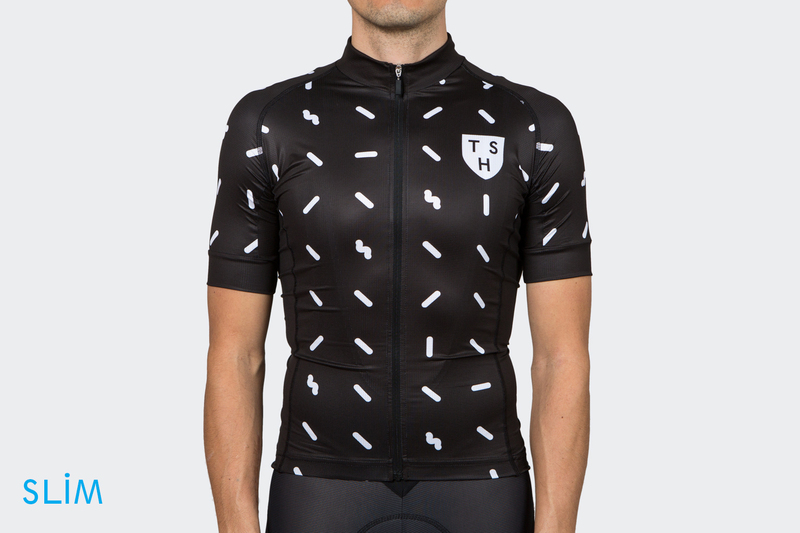 Longtime TSH riders will know this as last years slim fit. 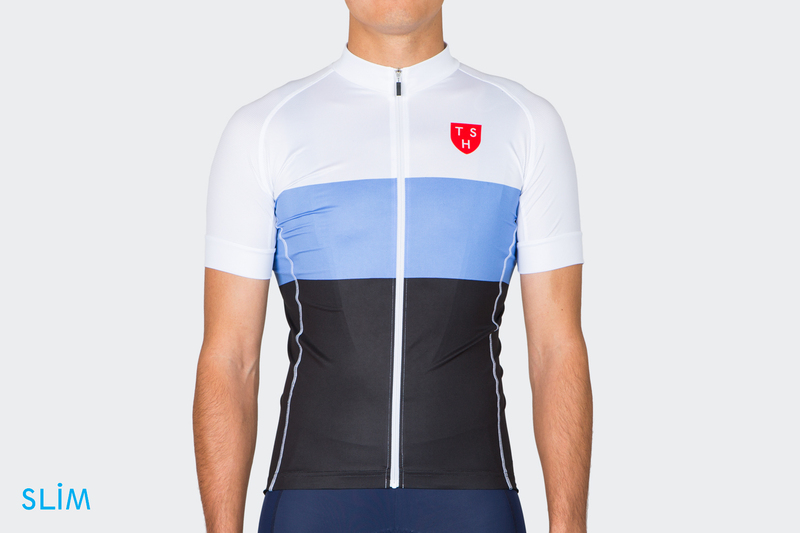 The new slim fit is perfectly positioned between the regular and race cut. It is an all day jersey for comfort, competitive events and feels at home during cafe stops. 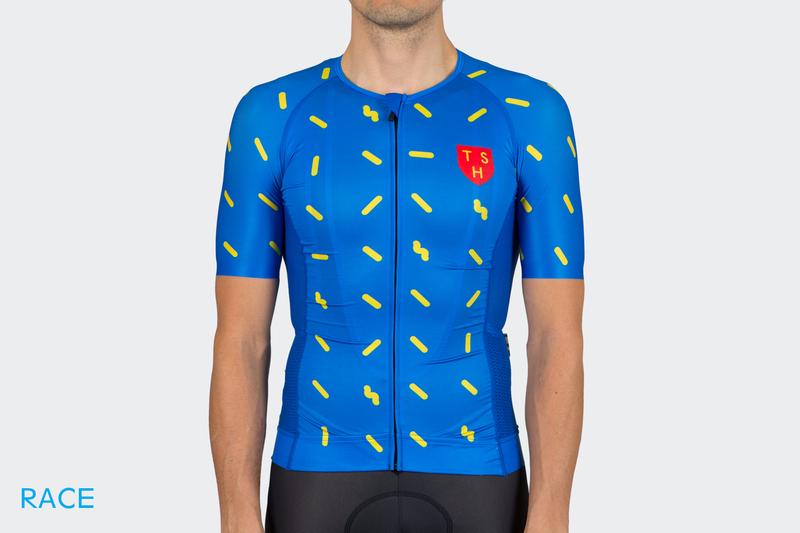 One could describe it as just a bit aero and comfy. 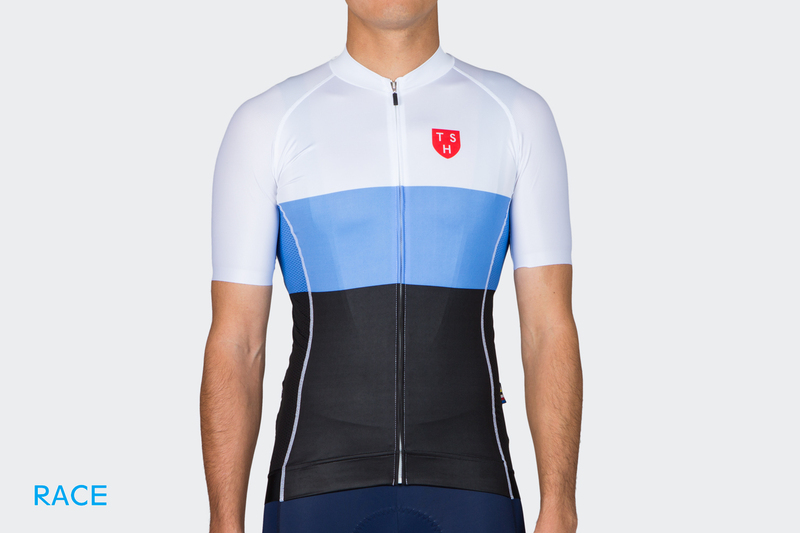 The race fit is exactly what it says, skin tight, very aero and everything you want in a racing jersey. As always email us with your height, weight and chest size at info@tenspeedhero.com and we can dial your fit. 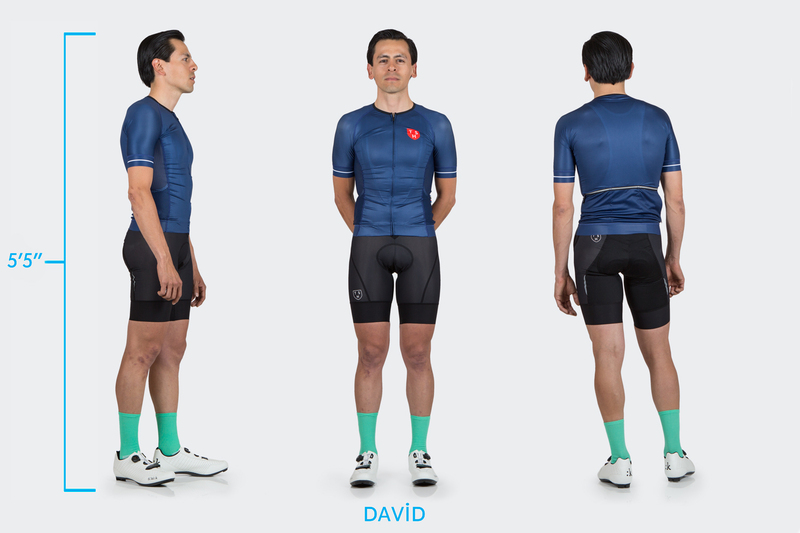 David wears a X-Small Regular fit Jersey, X-Small Slim Fit Jersey, Small Race Fit Jersey, Small Pro Shorts, Small Team Bibs, Small Club Bibs. Justin wears a Small Regular Fit Jersey, Medium Slim Fit Jersey, Medium Race Fit Jersey although could size up to a large for a little extra room, Medium Team Shorts, Medium Club Shorts, Medium Pro Shorts. Tim wears small regular fit in competition but prefers medium regular fit for everyday rides. He comfortably wears a medium in slim Fit. He wears a large in race fit. We put him in an XL Race fit and it ran a bit long. 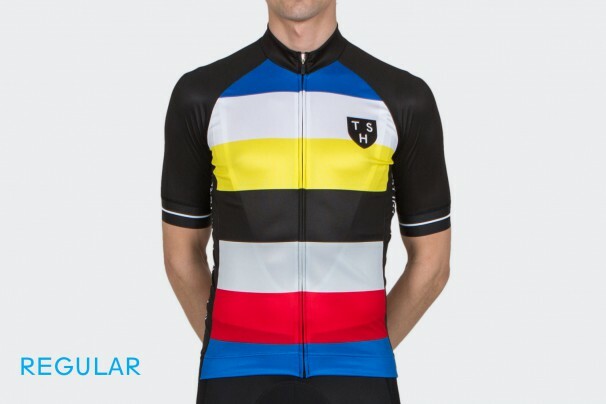 He wears a Large in Club, Team and Pro Shorts. 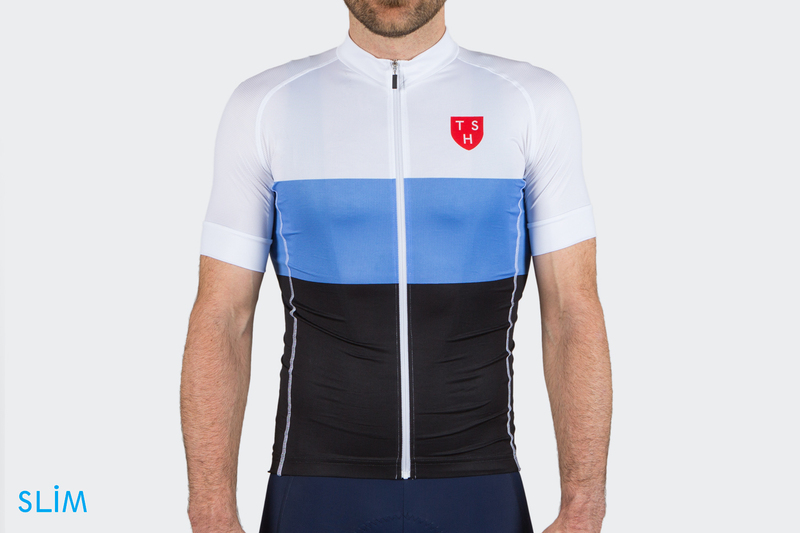 He is pretty muscular up top and prefers our slim fit jersey to the race fit for long rides. 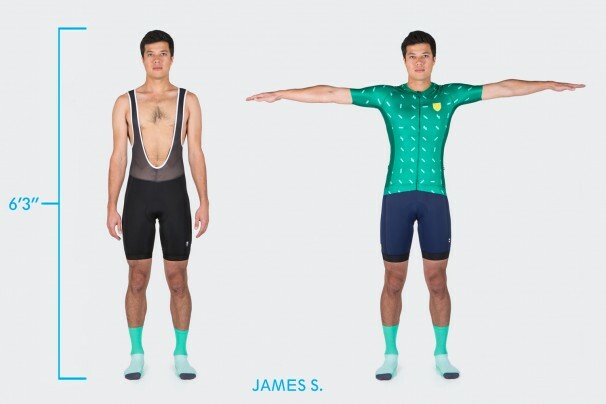 James wears a small regular fit, a Medium slim Fit Jersey and a Medium race Fit Jersey. 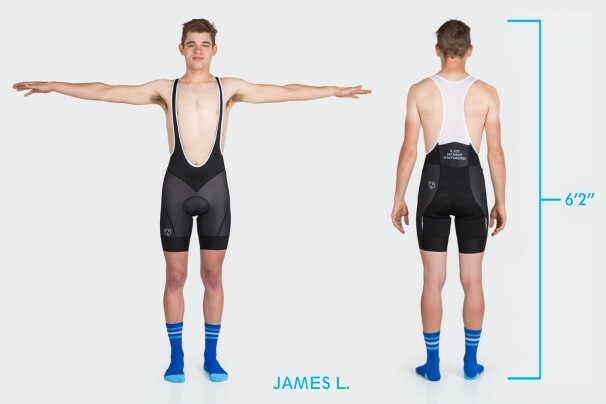 He wears Medium club, Team and pro Bibs. 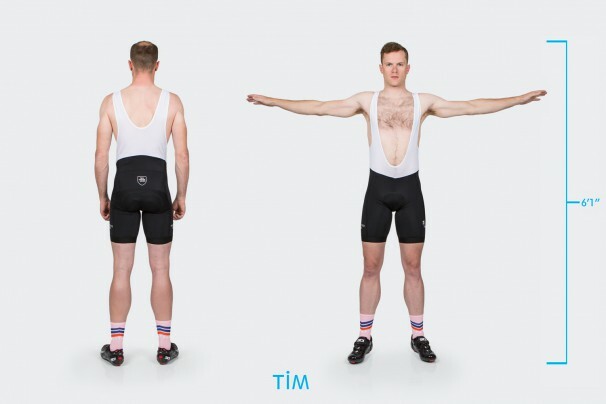 Tags: Bib Shorts, fit guide.